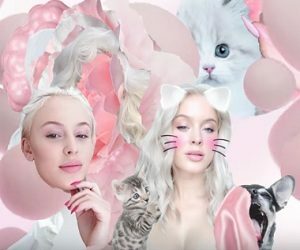 H&M has released a 15-second ad, revealing its collaboration with Zara Larsson, the Swedish pop sensation who consolidates her breakthrough with the international album release “So Good”. The Swedish fashion house continues, thus, its commitment to supporting and empowering music talent. The new album of the singer, who has been included by Time Magazine on the list of “30 Most Influential Teens of 2016”, will be promoted through H&M’s in-store digital screens, before its worldwide release on March 17. The brand highlights that Zara’s highly anticipated album “So Good” can be pre-saved at the hm.com starting today, February 23.